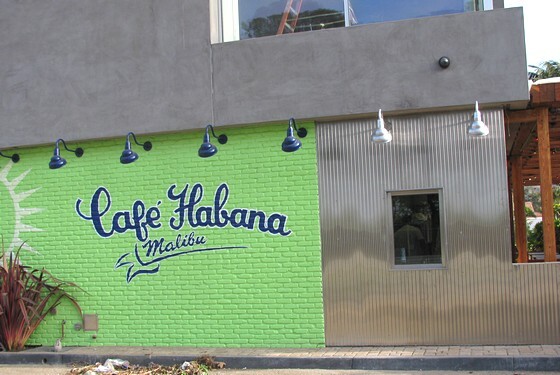 We’re yet to be convinced that Cafe Habana has really translated from its Downtown New York location to Malibu, but the restaurant appears to be busy enough on its spacious PCH patio. Now the restaurant is veering into theme nights, with Sunday and Monday night football shown on big screens, accompanied by $6 margaritas and mojitos, plus DJs Sicky Dicky and Cisco Adler on Tuesdays, and a Karaoke night every Wednesday. Sounds more like Rush Street than Prince Street.